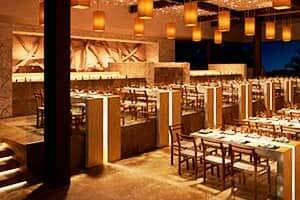 Ten restaurants and eight bars at Hotel Xcaret Mexico will take you to a culinary journey through global flavors, where the Mexican gastronomy, declared by UNESCO as Intangible Cultural Heritage, is the protagonist. Cozy ambiances and the dedicated attention of our staff will guide you through this exciting culinary trip. All our menus are designed to surprise your palate as well as to accommodate any dietary preferences your lifestyle might require. Centuries ago, the canals of the Xochimilco Lake region, in the original Mexico City, were sailed by boats known as “Trajineras”. This tradition continues today and is one of the most colorful and lively activity of the city. In a Trajinera inspired setting, we recall this experience by bringing the best land and sea products enhanced by a Caribbean fumée flair. The Chef’s signature brings the concept of the Mexican gastronomy as a personal experience. 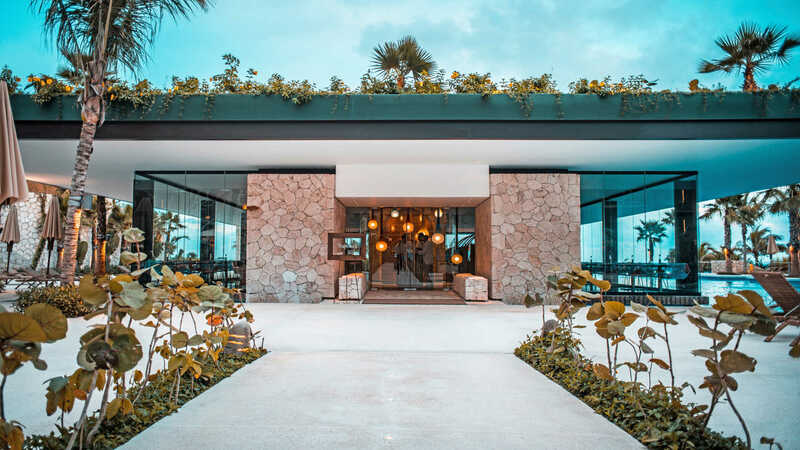 Discover the contemporary Mexican cuisine in an intimate and chic atmosphere, where, with each dish, the Chef tells a story. 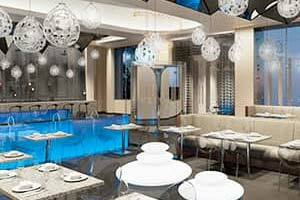 A contemporary design showcasing a water vortex, a unique cocktail bar and a private cava and dining room. A Cantina is to Mexico what a Bistro is to France: a place to meet and eat with friends’ and family. 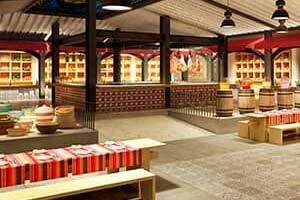 Here we recreate a traditional cantina environment and cuisine with the addition of steaks as center stage. On the ground floor, you can try traditional seasonings, reinterpreted with the today's freshness, including meat cuts cooked to your liking. 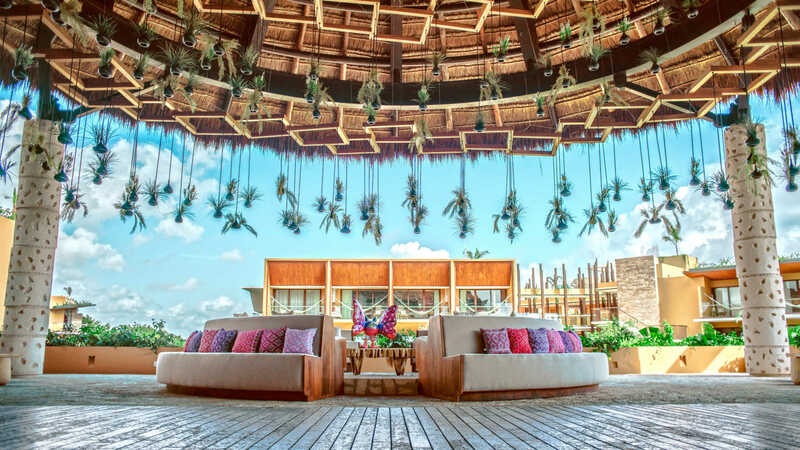 In the evening, an atmosphere of festivity revolves in the mezzanine area, with music, a snacks’ menu, original cocktails, as well as a variety of Tequila and Mezcal awaiting to be discovered. 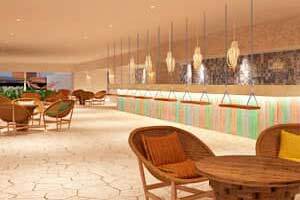 A 360-degree sensory tour will transport you through different endless flavors of Mexico. Fresh products, colors and vibrant textures will highlight each of the 10 stations representing a unique style from a different region. Rejoice your visual and hearing senses with dishes boosted with aromas and authentic flavors. Mexican family gatherings around the table are a long-standing tradition in our culture. Delight with your friends and family in a buffet style restaurant through themed tidbit stations and snack bars, ideal for the children to dine and be entertained. A recreation the classic dinner-show lounges, considered the epicenter of the artistic and social life of Mexico in the 1950s. 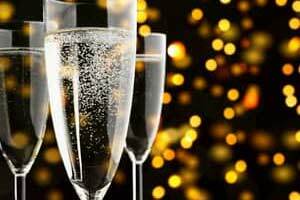 Enjoy this special time with your spouse, friends or family along a tasting menu, as the show takes place in an impressive riverfront stage. 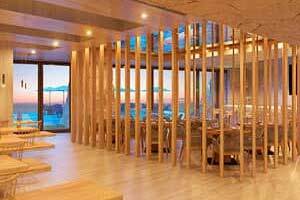 Indulge in a journey of flavors of the Asian cuisine through traditional and contemporary proposition in a breathtaking setting. 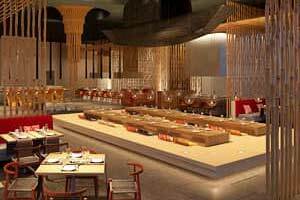 From a dynamic teppanyaki, the fire of the robata grill, a Western tatami, a luscious sushi bar. The Mixology Bar is the perfect complement for this dining experience. An intimate restaurant, a relaxing atmosphere around the table, among friends. Tasty flavors of yesterday are renewed into soft courses, prepared with spotless artistry. The dinner specials may include lamb, pasta with mussels, gourmet morsels, vegetarian croquettes and fondues. Allow Fuego to bedazzle you. Barefoot sand chill, the sound of the waves on the background, the fumée accents from the grill mixing with the breeze. Right in front of you, countless shades of blue decorate the ocean that drape upon the coves . A fresh cuisine in the afternoon and a fusion of spices in the evening. Culinary creations that will take you over the shores of the Mediterranean up to mountains in India, and back to the Caribbean. 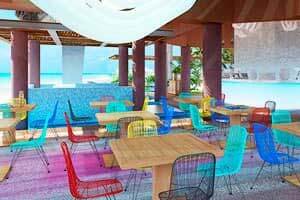 A unique culinary delight in Riviera Maya has been created specially for you. 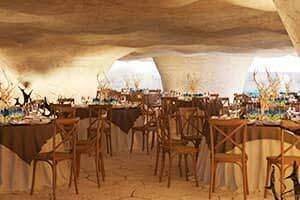 Explore Mexican specialties, blending with international trends, in a gallery of caves carved out of the peninsula rock. For dinner, the menu will take you to discover the Mexican wine through the perfect pairing with each dish. If you are in the chilling mood, just sip a glass of wine or smoke a Cuban cigar, you are cordially welcome to the Wine and the Cigar Bars. Hotel Xcaret Mexico defines its mixology proposition as creative, fresh, cosmopolitan and unique in Riviera Maya. A complete and fun experience fills the atmosphere, going from the bars, music and fine glassware. The sommelier team has designed pairings, suggestions and tastings for you to venture and discover intriguing new trends, originating in the Old World, the New World, including of course, Mexican wines. We aim for you to enjoy unique experiences and live up a different world, where all the flavors, colors and aromas of Mexico become one. Prepare for a total immersion into the elixirs of the gods brought down to earth just for you! 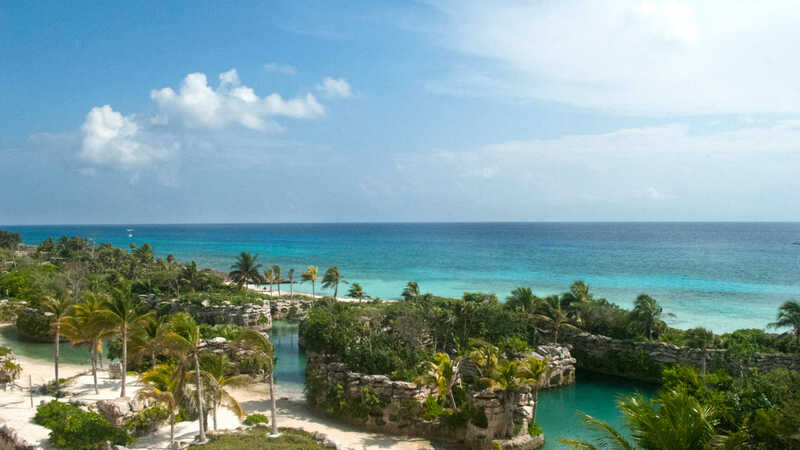 To begin or end your stay at Hotel Xcaret México in the best way possible, we offer you an array of concepts and cocktail styles, wines, martinis, gin tonics and beers thus providing you with a custom-made experience. The bar’s Jazz and Rock performances are not to be missed. 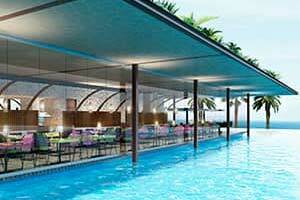 Enjoy the refreshing array of drinks at the pool bar, a very pleasant bar experience without getting out of the pool. 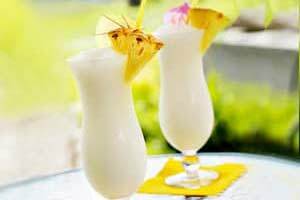 Here you can find a wide variety of drinks where Caribbean cocktails had to be present. 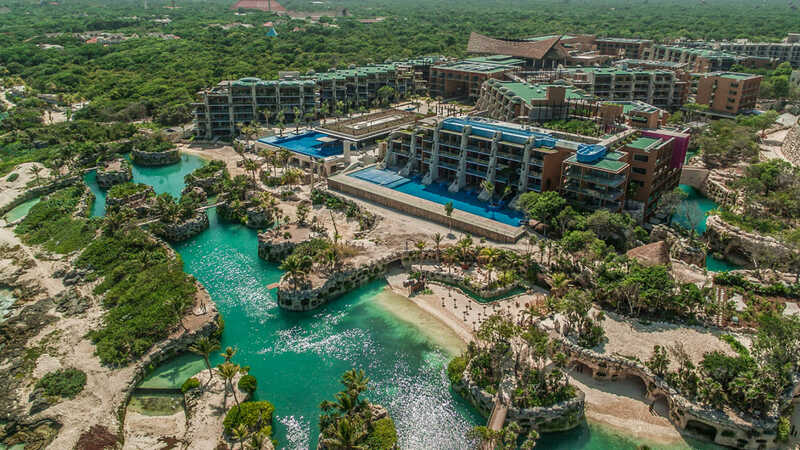 This is the perfect place to enjoy good music and refreshing mixed drinks with the Hotel Xcaret flair. 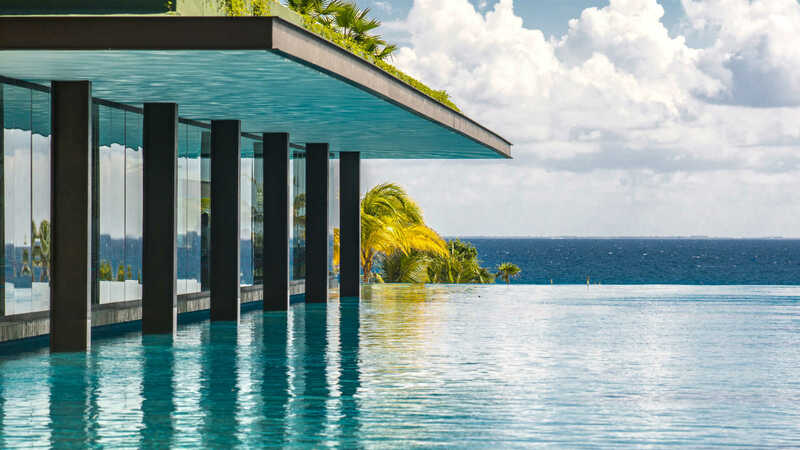 Enjoy the magic of our fusion of liqueurs and spirits, immersed in the pool with an astounding view of the Caribbean. 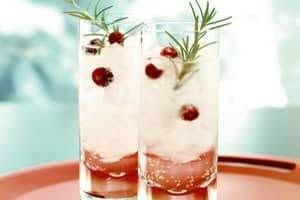 A refreshing experience with unique drinks with a pleasant taste and a look that captivates the eye. Using citrus fruits, fruits of the season and spices, we will delight you with fresh and exotic flavors. Travel back in time through the recovery of deeply-rooted Mexican traditions. 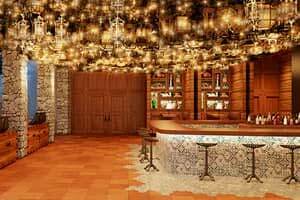 Hotel Xcaret introduces its Gastro-Cantina which will leave you with a taste of long ago through its mezcal and tequila tastings. 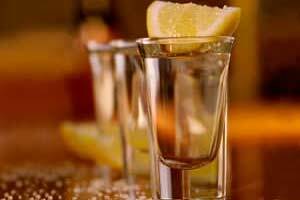 It is the perfect setting for after dinner drinks to be enjoyed to the tune of live Mexican folk music. We Create an Experience from Knowledge. 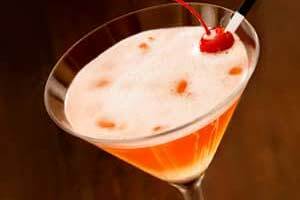 Enjoy a cocktail even before you take the first sip. 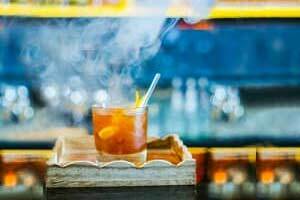 We use technology and science to improve our mixology through authentic ingredients such as fusions, syrups, macerations with spices, plants, fruits, flowers and cutting edge tools, thus preparing your palate for a culinary voyage. 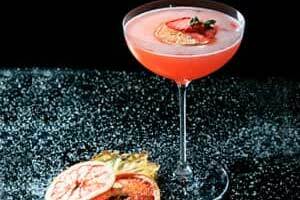 Experience Asian cocktails with a Mexican touch. The aromas will seduce you if you love novelty and uniqueness and have a passion for the exotic; fresh and creative essences that will awake your senses. Sake, the most aromatic whiskies and delicate teas are mixed into unique creations that will take you on a journey to the other side of the world. Featuring a private swimming pool, it's an intimate, relaxed and sophisticated gathering spot. Stunning Caribbean sunset views accompanied by the rhythm of Chill-out music and signature mixology. Grill cuisine restaurant, gourmet burgers, wraps and salads; fresh dishes and finger food. A fulfilling experience accompanied with sparkling wine, Brut or Demi Sec, an acid taste that will cause an explosion of flavors in your papillas and with digestive properties that will prepare you to continue this pleasant and fizzy journey. 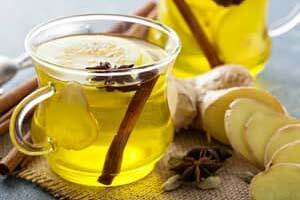 A space that offers the experience of treatments, relaxation alternatives and therapies complemented by relaxing drinks like teas, tisanes and fresh seasonal fruit infusions with spices and roots; fresh drinks that will bring you back to life.